In one of the finest resorts in Europe we offer 25 exclusive chalets and 12 apartments. 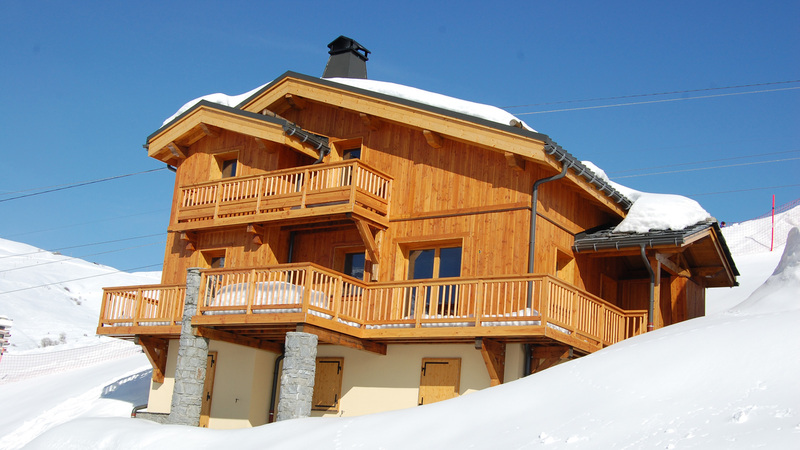 Spacious 6, 8 and 10 bed chalets with spacious balconies, located directly on the ski slopes. The cozy living room with fireplace and several en suite bedrooms offer every luxury. The ski area around Saint-François-Longchamp Le Grand Domaine, located on a large plateau. It is vast, organized and offers plenty of space on the slopes. In one of the most beautiful ski areas of Europe, we offer 25 exclusive chalets and 12 apartments for rent and sale. The project is located on the Col de la Madeleine in the town of Saint-François-Longchamp 1650, a lively and comfortable family village in the beautiful Maurienne Valley. Les Chalets de la Madeleine are located at an altitude of 1650 meters (guaranteeing snow) and is literally surrounded by ski slopes. Make an appointment for a free viewing. Come experience the ambience in Les Chalets de la Madeleine. One big thank you, for an amazing holiday! See you next year! The perfect location for the entire family! Super luxurious, directly on the ski slopes! A nice village with all kinds of shops, restaurants and a fun courtyard with lots of activities for the kids. Nice and wide slopes, which allows you to ski to Valmorel. What a beautifull envoirement, I am speechless about the luxurious chalets, we never experienced something like this before. It was amazing! Fantastic chalets and apartments right on the slope! A huge thank you for a great winter holiday! See you next year! The ideal place for the whole family! What a luxury right on the slopes!